disability studies | Sounding Out! From E.E. Fournier d’Albe, The Moon Element (New York: D. Appleton & Company, 1924), 141. In 1912, British physicist Edmund Fournier d’Albe built a device that he called the optophone, which converted light into tones. The first model—“the exploring optophone”—was meant to be a travel aid; it converted light into a sound of analogous intensity. A subsequent model, “the reading optophone,” scanned print using lamp-light separated into beams by a perforated disk. The pattern of light reflected back from a given character triggered a corresponding set of tones in a telephone receiver. d’Albe initially worked with 8 beams, producing 8 tones based on a diatonic scale. He settled on 5 notes: lower G, and then middle C, D, E and G. (Sol, do, re, mi, sol.) The optophone became known as a “musical print” machine. It was popularized by Mary Jameson, a blind student who achieved reading speeds of 60 words per minute. Reading Optophone, held at Blind Veterans UK (formerly St. Dunstan’s). Photographed by the author. With thanks to Robert Baker for helping me search through the storeroom to locate this item, which was previously uncatalogued and “lost” for many years. In the field of media studies, the optophone has become renowned through its imaginary repurposings by a number of modernist artists. For one thing, the optophone finds brief mention in Finnegan’s Wake. In turn, Marshall McLuhan credited James Joyce’s novel for being a new medium, turning text into sound. In “New Media as Political Forms,” McLuhan says that Joyce’s own “optophone principle” releases us from “the metallic and rectilinear embrace of the printed page.” More familiar within media studies today, Dada artist Raoul Hausmann patented (London 1935), but did not successfully build, an optophone presumably inspired by d’Albe’s model, which he hoped would be employed in audiovisual performances. This optophone was meant to convert sound into light as well as the reverse. It was part of a broader contemporary impulse to produce color music and synaesthetic art. Hausmann also wrote optophonetic poetry, based on the sounds and rhythms of “pure phonemes” and non-linguistic noises. 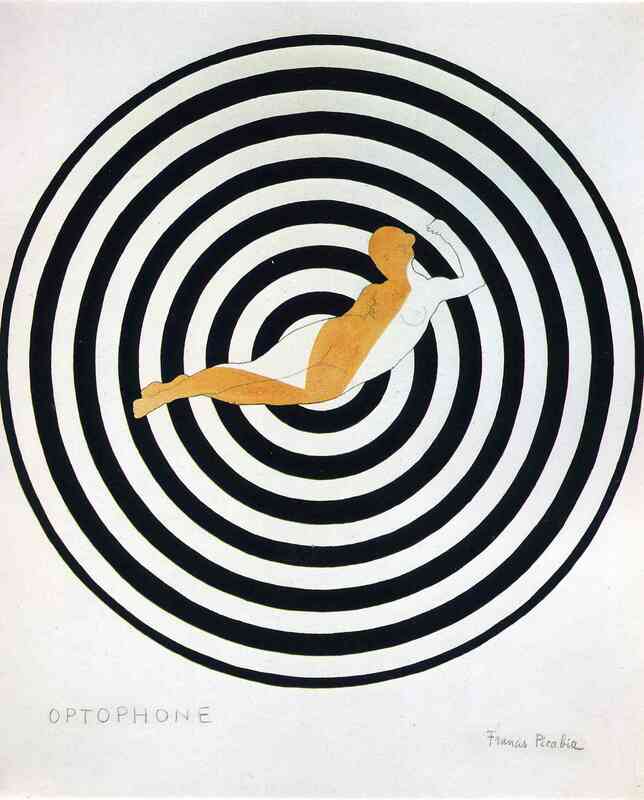 In response, Francis Picabia painted two optophone portraits in 1921 and 22. Optophone I, below, is composed of lines that might be sound waves, with a pattern that disorders vision. E.E. Fournier d’Albe, The Moon Element (New York: D. Appleton & Company, 1924), 107.
d’Albe’s device is typically portrayed as a historical cul-de-sac, with few users and no real technical influence. Yet optophones continued to be designed for blind people throughout the twentieth century; at least one model has users even today. Musical print machines, or “direct translators,” co-existed with more complex OCR-devices—optical character recognizers that converted printed words into synthetic speech. Both types of reading machine contributed to today’s procedures for scanning and document digitization. Arguably, reading optophones intervened more profoundly into the order of print than did Hausmann’s synaesthetic machine: they not only translated between the senses, they introduced a new symbolic system by which to read. Like braille, later vibrating models proposed that the skin could also read. In December 1922, the Optophone was brought to the United States from the United Kingdom for a demonstration before a number of educators who worked with blind children; only two schools ordered the device. Reading machine development accelerated in the U.S. around World War II. In his position as chair of the National Defense Research Committee, Vannevar Bush established a Committee on Sensory Devices in 1944, largely for the purpose of rehabilitating blind soldiers. The other options for reading—braille and Talking Books—were relatively scarce and had a high cost of production. Reading machines promised to give blind readers access to magazines and ephemeral print (recipes, signs, mail), which was arguably more important than access to books. Joe Piechowski with the A-2 reader. Courtesy of Rob Flory. At RCA (Radio Corporation of America), the television innovator Vladimir Zworykin became involved with this project. Zworykin had visited Fournier d’Albe in London in the 19-teens and seen a demonstration of the optophone. Working with Les Flory and Winthrop Pike, Zworykin built an initial machine known as the A-2 that operated on the same principles, but used a different mechanism for scanning—an electric stylus, which was publicized as “the first pen that reads.” Following the trail of citations for RCA’s “Reading Aid for the Blind” patent (US 2420716A, filed 1944), it is clear that the “pen” became an aid in domains far afield from blindness. It was repurposed as an optical probe for measuring the oxygen content of blood (1958); an “optical system for facsimile scanners” (1972); and, in a patent awarded to Burroughs Corporation in 1964, a light gun. This gun, in turn, found its way into the handheld controls for the first home video game system, produced by Sanders Associates. The A-2 optophone was tested on three blind research subjects, including ham radio enthusiast Joe Piechowski, who was more of a technical collaborator. According to the reports RCA submitted to the CSD, these readers were able to correlate the “chirping” or “tweeting” sounds of the machine with letters “at random with about eighty percent accuracy” after 60 hours of practice. Close spacing on a printed page made it difficult to differentiate between letters; readers also had difficulty moving the stylus at a steady pace and in a straight line. Piechowski achieved reading speeds of 20 words per minute, which RCA deemed too slow. Attempts were made to incorporate “human factors” and create a more efficient tonal code, to reduce reading time as well as learning time and confusion between letters. One alternate auditory display was known as the compressed optophone. Rather than generate multiple tones or chords for a single printed letter, which was highly redundant and confusing to the ear, the compressed version identified only certain features of a printed letter: such as the presence of an ascender or descender. Below is a comparison between the tones of the original optophone and the compressed version, recorded by physicist Patrick Nye in 1965. 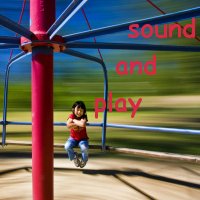 The following eight lower case letters make up the source material: f, i, k, j, p, q, r, z. Original record in the author’s possession. With thanks to Elaine Nye, who generously tracked down two of her personal copies at the author’s request. The second copy is now held at Haskins Laboratories. From Patrick Nye, “An Investigation of Audio Outputs for a Reading Machine,” AFB Research Bulletin (July 1965): 30. Because of the seeming limitations of tonal reading, RCA engineers re-directed their research to add character recognition to the scanning process. This was controversial, direct translators like the optophone being perceived as too difficult because they required blind people to do something akin to learning to read print—learning a symbolic tonal or tactile code. 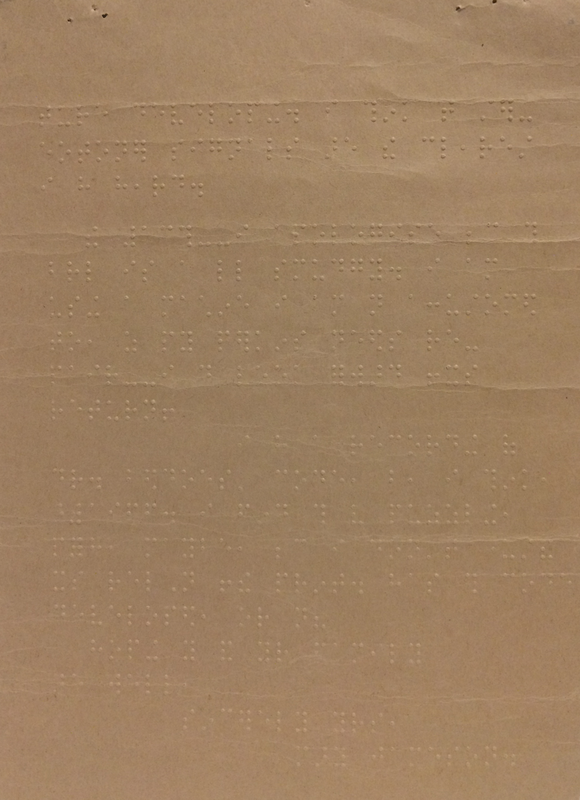 At an earlier moment, braille had been critiqued on similar grounds; many in the blind community have argued that mainstream anxieties about braille sprang from its symbolic difference. Speed, moreover, is relative. Reading machine users protested that direct translators like the optophone were inexpensive to build and already available—why wait for the refinement of OCR and synthetic speech? Nevertheless, between November 1946 and May 1947, Zworykin, Flory, and Pike worked on a prototype “letter reading machine,” today widely considered to be the first successful example of optical character recognition (OCR). Before reliable synthetic speech, this device spelled out words letter by letter using tape recordings. The Letter-Reader was too massive and expensive for personal use, however. It also had an operating speed of 20 words per minute—thus it was hardly an improvement over the A-2 translator. Haskins Laboratories, another affiliate of the Committee on Sensory Devices, began working on the reading machine problem around the same time, ultimately completing an enormous amount of research into synthetic speech and—as argued by Donald Shankweiler and Carol Fowler—the “speech code” itself. In the 1940s, before workable text-to-speech, researchers at Haskins wanted to determine whether tones or artificial phonemes (“speech-like speech”) were easier to read by ear. They developed a “machine dialect of English,” named wuhzi: “a transliteration of written English which preserved the phonetic patterns of the words.” An example can be played below. The eight source words are: With, Will, Were, From, Been, Have, This, That. Original record in the author’s possession. From Patrick Nye, “An Investigation of Audio Outputs for a Reading Machine” (1965). With thanks to Elaine Nye. 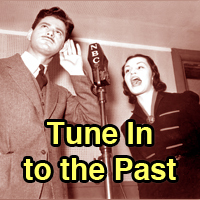 Based on the results of tests with several human subjects, the Haskins researchers concluded that aural reading via speech-like sounds was necessarily faster than reading musical tones. Like the RCA engineers, they felt that a requirement of these machines should be a fast rate of reading. Minimally, they felt that reading speed should keep pace with rapid speech, at about 200 words per minute. Funded by the Veterans Administration, members of Mauch Laboratories in Ohio worked on both musical optophones and spelled-speech recognition machines from the 1950s into the 1970s. One of their many devices, the Visotactor, was a direct-translator with vibro-tactile output for four fingers. Another, the Visotoner, was a portable nine-channel optophone. All of the Mauch machines were tested by Harvey Lauer, a technology transfer specialist for the Veterans Administration for over thirty years, himself blind. Below is an excerpt from a Visotoner demonstration, recorded by Lauer in 1971. Visotoner demonstration. Original 7” open reel tape in author’s possession. With thanks to Harvey Lauer for sharing items from his impressive collection and for collaborating with the author over many years. Harvey Lauer reading with the Visotactor, a text-to-tactile translator, 1977. Later on the same tape, Lauer discusses using the Visotoner to read mail, identify currency, check over his own typing, and read printed charts or graphics. He achieved reading speeds of 40 words per minute with the device. Lauer has also told me that he prefers the sound of the Visotoner to that of other optophone models—he compares its sound to Debussy, or the music for dream sequences in films. Mauch also developed a spelled speech OCR machine called the Cognodictor, which was similar to the RCA model but made use of synthetic speech. In the recording below, Lauer demonstrates this device by reading a print-out about IBM fonts. He simultaneously reads the document with the Visotoner, which reveals glitches in the Cognodictor’s spelling. Original 7” open reel tape in the author’s possession. With thanks to Harvey Lauer. The Cognodictor. Glendon Smith and Hans Mauch, “Research and Development in the Field of Reading Machines for the Blind,” Bulletin of Prosthetics Research (Spring 1977): 65. In 1972, at the request of Lauer and other blind reading machine users, Mauch assembled a stereo-optophone with ten channels, called the Stereotoner. This device was distributed through the VA but never marketed, and most of the documentation exists in audio format, specifically in sets of training tapes that were made for blinded veterans who were the test subjects. Some promotional materials, such as the short video below, were recorded for sighted audiences—presumably teachers, rehabilitation specialists, or funding agencies. Mauch Stereo Toner from Sounding Out! on Vimeo. Video courtesy of Harvey Lauer. Letter courtesy of Harvey Lauer. Transcribed by Shafeka Hashash. In 1973, with the marketing of the Kurzweil Reader, funding for direct translation optophones ceased. The Kurzweil Reader was advertised as the first machine capable of multi-font OCR; it was made up of a digital computer and flatbed scanner and it could recognize a relatively large number of typefaces. Kurzweil recalls in his book The Age of Spiritual Machines that this technology quickly transferred to Lexis-Nexis as a way to retrieve information from scanned documents. As Lauer explained to me, the abandonment of optophones was a serious problem for people with print disabilities: the Kurzweil Readers were expensive ($10,000-$50,000 each); early models were not portable and were mostly purchased by libraries. Despite being advertised as omnifont readers, they could not in fact recognize most printed material. The very fact of captchas speaks to the continued failures of perfect character recognition by machines. And, as the “familiarization tapes” distributed to blind readers indicate, the early synthetic speech interface was not transparent—training was required to use the Kurzweil machines. Original cassette in the author’s possession. Raymond Kurzweil and Kenneth Jernigan with the Kurzweil Reading Machine (NFB, 1977). Courtesy National Federation of the Blind. Lauer always felt that the ideal reading machine should have both talking OCR and direct-translation capabilities, the latter being used to get a sense of the non-text items on a printed page, or to “preview material and read unusual and degraded print.” Yet the long history of the optophone demonstrates that certain styles of decoding have been more easily naturalized than others—and symbols have increasingly been favored if they bear a close relation to conventional print or speech. Finally, as computers became widely available, the focus for blind readers shifted, as Lauer puts it, “from reading print to gaining access to computers.” Today, many electronic documents continue to be produced without OCR, and thus cannot be translated by screen readers; graphical displays and videos are largely inaccessible; and portable scanners are far from universal, leaving most “ephemeral” print still unreadable. Mara Mills is an Assistant Professor of Media, Culture, and Communication at New York University, working at the intersection of disability studies and media studies. She is currently completing a book titled On the Phone: Deafness and Communication Engineering. 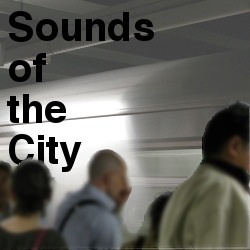 Articles from this project can be found in Social Text, differences, the IEEE Annals of the History of Computing, and The Oxford Handbook of Sound Studies. Her second book project, Print Disability and New Reading Formats, examines the reformatting of print over the course of the past century by blind and other print disabled readers, with a focus on Talking Books and electronic reading machines. This research is supported by NSF Award #1354297.